Have you bought or sold a Franklin? Help the H.H.Franklin Club registrar keep the Club inventory of Franklins up to date and complete. If you buy or sell a Franklin advertised on the Club website, send a short note to the Franklin Club webmaster. If you buy or sell a Franklin in some other fashion, or are aware of a Franklin that is not in the Club Register, please drop a note to the webmaster. Franklin Club members may place an ad for a $5 donation, non-club members for a $15 donation. Ads will be listed for a total of 6 months. Click here to make a donation using PayPal. Ads are automatically removed after 6 months—email the webmaster for information or to relist an ad. >NEVER wire money or use a bank-to-bank transfer in a transaction. >Avoid payment via international funds transfer, pre-loaded card or electronic currency. >DO NOT sell a car to someone who is unable or unwilling to meet you face to face. >WAIT until a check (personal, cashier’s, certified, or otherwise) has cleared the bank to transfer title or the car itself. Funds being made available by a bank DOES NOT mean the check is not counterfeit. Clearing a check can take days or weeks depending on the financial institutions involved. Check with your bank about their particular processes for clearing checks. >NEVER trust a buyer who says that the transaction is GUARANTEED by eBay, Craigslist, PayPal, or other online marketplace. These sites explicitly DO NOT guarantee that people using their services are legitimate. >BEWARE of buyers who want to conclude a transaction as quickly as possible. >CALL the buyer to establish phone contact. If the buyer seems to neglect details agreed to via e-mail or is unable to answer questions about their location, it is likely to be a scam. >ALWAYS trust your gut. If a deal feels “fishy” or sounds too good to be true, it probably is. >A buyer will tell you that someone else owes him or her money that is more than the cost of your car. He or she will ask for the car and promise payment from the other individual. >Buyer promises additional funds to pay for the cost to ship. > Buyer sends payment that is over the asking price. >The buyer will use an unknown escrow service to complete the transaction. The H. H. Franklin Club publishes the information listed below solely as a convenience to its members. No endorsement is made by the Club or Region, no claim or warranty is made as to the accuracy of any of this information. No responsibility is assumed for any transactions resulting from this information. Wanted: Open Franklin or Club Sedan. Restored or good running older restoration. Planning to tour with the car so it must be reliable. Wanted: 1932 Club Sedan or Speedster. Also, $100 reward for whereabouts and the current owner of 1932 Blue Club Sedan, VIN 63208450L30 that was auctioned at Barrett Jackson in January 2013. The H.H. Franklin Club provides 'For Sale' listings as a service to its members and others. There is no warranty expressed or implied by the club. 6 – As New Lucas 600x20 Tires and Tubes with 4 Artillery (spoked) Oak Wheels. As New-Complete Mohair upholstery and Vinyl Top. Work performed by Cecil Fuller, who specialized in Auburn and Franklin upholstery work. Engine completely rebuilt over 20 years ago with less than 3,000 miles running since. Paint is very presentable – but not perfect. This is a good solid car that is 98% complete. Rust is not an issue as car is located in our dry RENO, NEVADA climate. 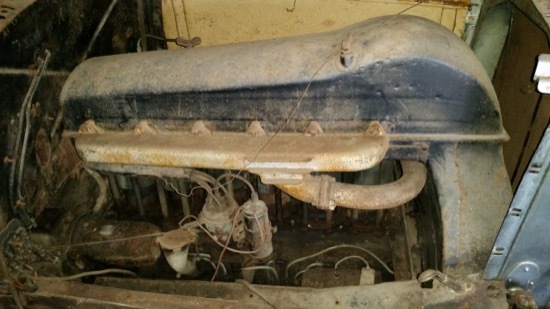 Car has been in storage in a clean facility for 9 years and is not currently running, but should be a relatively easy fix – mainly flushing of gas lines, gas tank and carburetor. Hydraulic brakes will need a workover, mainly the master and wheel cylinders. Shoes seem to be in good condition. Car will have to be trailered. Car comes with many extra parts which are mainly trim pieces with some mechanical items. 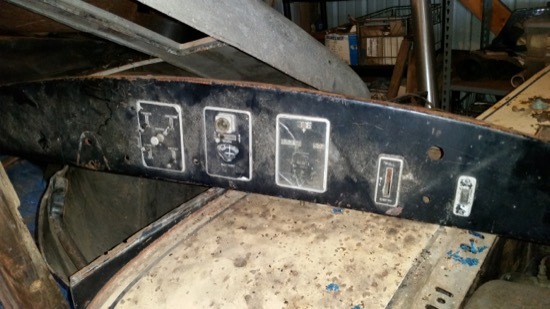 Two (2) headlights and Two (2) unrestored trunks are included. Advanced age – 80 plus years, Ill health prevents me from completing restoration. We have had an appraisal done and it came in at $15,000.00. But we are aware of the work that needs to be done, so we will be asking $11,500.00. Very original (except seat and top). Last of the large early cars, all aluminum body including the fenders. Ran well before storage 15 years ago. Heads Up! FOR SALE: 1928 Airman Sport Touring. This Harrah's Franklin is coming up for sale at Bonham's late next month. Click Here for more info. Exterior restored in the 1970's, interior original. Original trunk. Runs well. Currently in Sarasota, FL. Asking $25,000. This Franklin belongs to a friend who's husband died suddenly. She has a 1929 4 door Frankin with title. He had started a rebuild so it is in pieces. If you have interest I can send pictures. I don't know value so would have to trust folks to offer a fair price. 1929 Franklin model 130 4 door sedan. Body: Car was repainted once in 1969 with laquer paint. Could use new paint on the fenders otherwise not bad. There is some cracking in spots, but it is not a rust bucket. Engine: has never been totally apart and the car runs very good. The oil has been changed often. A complete tune up has been done. Rebuilt fuel pump, rebuilt carb. Trans: Has common 1st gear growl other than that transmission is fine. Chrome: All the chrome was done in 1969. There is some minor flaking on top of the grille shell by the cap, other than that it is very nice. Wheels and tires: Wood wheels are in good condition with 650x19 tires that were new in 1969. Plenty of tread left but you be the judge. Brakes: Four new wheel cylinders, and master is in good shape. All lines have been cleaned and system has new fluid. The brakes work well. Interior: New in 1969 and still in very good shape. Speedometer does not work. Other guages work. All the lights work, including interior. Turn signals have been added. Clock has been rebuilt. Top: Could use some woodwork and a new top. The car is complete and in good shape. I use it just about every weekend in the summer. I have tons of original paperwork including pictures of the original owners, original owners manual etc. All receipts from restoration in 1969. Some spare parts. This car has been garage kept its entire life. I am the third owner. The first owner was Harry Miller from Pa. then Jere Verdone from Pa. Purchased and put into storage in 1972. 47,967 on odometer. Transported to Florida in 2016 to begin restoration. Performed basic survey of vehicle condition and began re-build of engine, then unable to continue due to health. Vehicle is solid and complete. I have owned this car since August 1976, it was advertised on the bulletin board at the Trek that year. Despite its deplorable condition I bought it. By standards of the time it wasn't even a good parts car. I had it running by October and pecked away at other defects until it is in its present state of a good running licensed and New York state inspected auto. The car will run 45 to 50 mph all day on the flat is a good hill climber and is reliable. Mostly original with lot of pitina. It a hard decision to have decided to part with it. I want the new caretaker to keep old yeller on the road so people can see and revel at this historic mechanical marvel tooling along with the total Franklin sound. $11500. Reasonable offers will be entertained. Inspection by appointment. 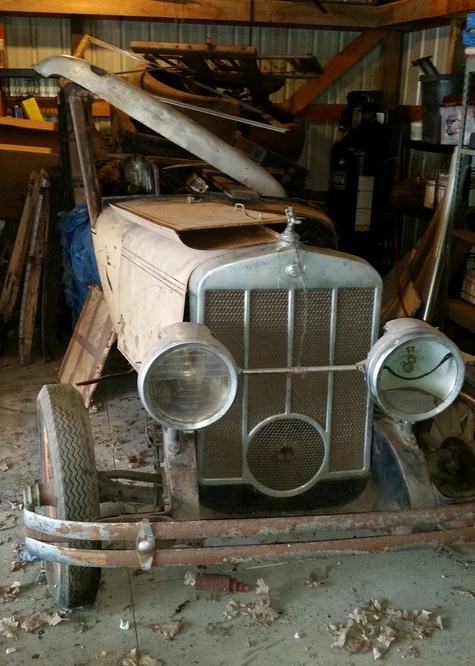 Selling a 1931 Franklin 153 sedan for parts or restoration. It is mostly complete but was disassembled for restoration many years ago. I have the engine and all body related parts. Originally painted grey body with black fenders.